It’s the ONE non-contacting sensor for liquids or solids that measure distance, level, is fully submersible, corrosion resistant, shock resistant and features push button configuration. The Ranger One™ ultrasonic level transmitter has a maximum range of 14 feet (4.3 meters). Like all Ranger sensors, it’s built for durability and ease of use in tough industrial environments. The Ranger One™ is unique in the Ranger family of products because it can be applied to any liquid tank level application and much more. The Ranger One™ is an ideal solution for position or distance measurement in factory automation like web control or heavy equipment monitoring as well as solids level remote monitoring on anything from corn flakes to sawdust. The Ranger One™ sensors contain a rugged transducer potted in a stainless steel housing for long life. Outputs respond to measured distance and non-contact technology means nothing touches your materials. It’s also fully configurable with our software. Ranger One includes our famous “Teach” feature for push button configuration. You can quickly adjust, optimize, save and clone your applications without calibration. The Ranger One™ has Multi-Sensor network capabilities using the Smart Communications via Modbus protocol, RS-485. The Ranger One™ would typically replace conventional ultrasonic level sensors PLUS proximity sensors and proximity switches. A proximity sensor is a sensor able to detect the presence of nearby objects without any physical contact. 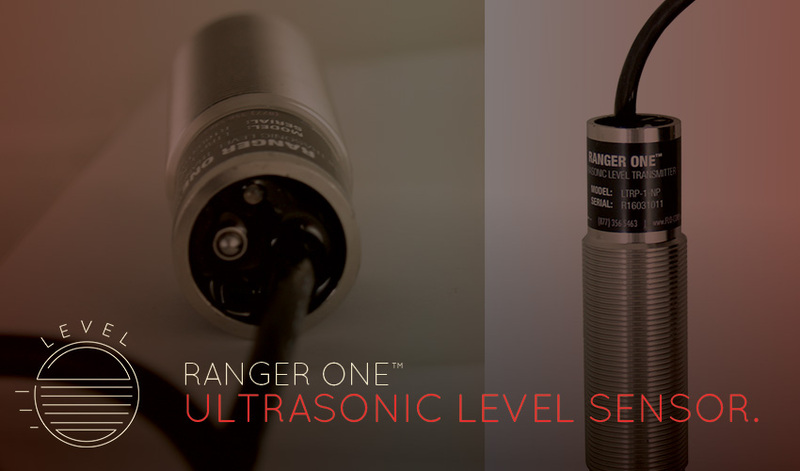 The Ranger One’s Unique Ultrasonic Signal Processing is impervious to most sensing targets and can be used in almost every industrial application without regard to the target material. This compact sensor is used around the world on remote liquid level systems, heavy equipment, factory automation applications and more. Learn more.